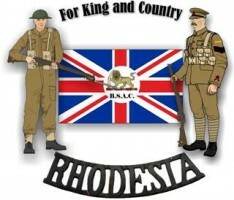 Please give your support to them - they have supported the Rhodesian Services Association, so now it is our turn to support them. When buying from them please tell them that you heard about them from the Rhodesian Services Association. It is important, as some have pledged commissions to us from sales generated by our advertising and people always like to know where referrals have come from. Books for Africa have supported the Rhodesian Services Association since 'day one'. Click on this link Books for Africa to view an extensive on-line catalogue including many book titles as well as DVDs. Cut to the Bone is the autobiography of world renowned wildlife artist Craig Bone. Craig Bone was born in 1955 and raised in Salisbury, Rhodesia. He attended St. George’s College and went on to serve in the Rhodesian Light Infantry. He was wounded in combat and subsequently took to painting full time. Following the political turmoil in Zimbabwe, he left for the USA where he now resides. This is his first book. "Brilliantly written. Craig offers opinion on life as a whole which few Rhodesians or clear thinking people would find reason to disagree with. A "must buy" in my opinion." Hugh Bomford. "This was a compelling read, spread over two volumes. Craig Bone's book is a mélange of personal recollections, observations, anecdotes, tirades and reminiscences. The lack of any underlying structure, coupled with frequent changes in time and place may occasionally confuse; but in many ways this reflects the author's spirit and restless energy. This is a fascinating account of an artist's journey from a boyhood spent in the last years of the British imperial adventure, through his early adult years in the Rhodesian Bush War to subsequent maturity in the darkness and evil of Mugabe's Zimbabwe, freed from its colonial chains. A soldier's account of a firefight with terrorists transmutes readily into a discussion of the principles of art; machinations with anti-Mugabe politics give way to self-deprecating insights; evocations of the beauty of the African bush are transplanted by descriptions of life in a remote farming community and incredible escapades with cub scouts; life in a Catholic boarding school contrasts with fun and boredom as a police national serviceman. For many Rhodesians of his generation, like myself, Craig's blunt criticism of the international politics that destroyed Rhodesia, and subsequently ignored the vileness of Mugabe's regime, will ring particularly true. Far from being a racist, Craig is withering and uncompromising in his portrayal of the shortcomings of many Zimbabwean blacks; the 'Phineases' who have ravaged and corrupted the country or whose incompetence and indifference has allowed others to do so. · The glue that binds this all together is Craig's volatile, unconventional, generous and fascinating character. I was at junior school with Craig when we were close friends for a few short years, and when his artistic talents were already evident. Afterwards we went our separate ways and lost touch. His book has brought me up to date on what happened subsequently - and what an amazing life's journey he's had! As quick to criticise himself as to castigate others, he tells his story as it is, without frills and with little mercy towards those whom he sees as having despoiled their superb colonial inheritance. Craig's story will not win the Booker Prize; but that was never his intention. At one level we have access to an extraordinary story of one man's battles with himself as much as the world around him. At another level we have a real insight into the lost world in which he and I grew up, fought our war and lost our beloved country. We should be grateful to him for adding to the historical record. More of us should do so to leave some evidence behind of what we achieved; and what has since been destroyed, forever." Over 25 years since the last Rhodesian medals were awarded, comes your chance to own the definitive roll of recipients of Rhodesian honours and decorations. Rhodesia Medal Roll is the first book to list every gazetted recipient of Rhodesian honours and decorations: from the introduction of the Rhodesian honours system in 1970 to its abolition in October 1981. It includes over 1,700 previously unpublished awards that do not appear in Contact and Contact II. The book also details the very last gallantry awards, 24 honours including four awards of the Silver Cross of Rhodesia and ten awards of the Bronze Cross of Rhodesia, that were issued under Army General Orders in June 1980, and which have never been published to the general public before. A comprehensive print on demand book is £28-00 plus postage. A print on demand booklet on the structure and insignia of the South African Special Forces. When ordering please insert RSA in the Voucher Box which is directly above the box that asks for your email address. This means that Badges on Mugs will make a donation to us of £1.50 for every mug sold this way. 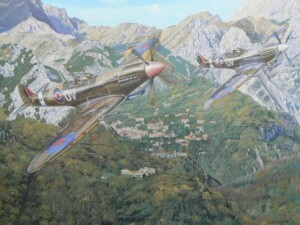 This unique limited edition print depicts two MK IX Spitfires of 237 (Rhodesia) Squadron RAF flying over Tuscany, Italy. F/O I. D. Smith was flying MK227 on strafing missions just prior to being shot down over Northern Italy. US$70 per sale will paid to the Rhodesian Services Association from generated sales. To order email: thecqstore@rhodesianservices.org we will then arrange everything for you. 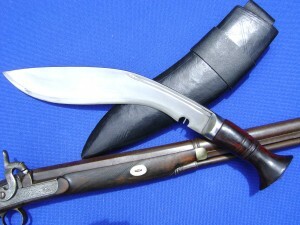 Khukuri Imports Ltd - directors Colin Logie, Hugh Bomford and Tony Fraser are importers of top quality, hand made Khukuris (kukuris), the traditional Gurkha knife, from Nepal. Piracy of Rhodesian material is an unpleasant problem. The people below are family based businesses who work hard and make sacrifices in order to provide quality products to the public. The true Rhodesian spirit was to support your mates. Do the right thing and be true to yourself and the Rhodesian Spirit - don't copy and reject pirated disks. Bryan Tichborne (an original 'Saint' - RLI ) will contribute 10% to our association - from any sales generated by our advertising. NOTE - When ordering, in the 'Special Comments' box please add 'RSO' (Rhodesian Service Organisation). This way Bryan will know that you found your way there from our recomendation. These are businesses who support us with their high quality goods and services. They give us discounted prices where possible and above all, even though our orders are generally small, they provide us with quick and friendly service. We recommend them to you. Sew Hot Monograms 15C Portside Drive, Mount Maunganui, New Zealand phone (07) 575 0779 or email sewhot@xtra.co.nz Blair, Sonja and the team at Sew Hot have always been our first choice for all our embroidery requirements because they provide exceptional quality and service.